Pay for someone's coffee or fast food behind you. It's as simple as that. It can certainly make someone's day especially when done at breakfast time. If you don't have much money, just give the cashier $5 to use towards the person behind you and be on your way. Compliment a random person's outfit. Be as genuine as possible. Whether it's the color you like, the style you like, etc. be enthusiastic when you say it. Compliments can really boost someone's self esteem. Bring a neighbor's trash bins back up towards the house before they get home. Sometimes the best surprise is the one where no one can figure out who did it. Let someone go in front of you in line at a store. Seriously, it can really cheer someone up and if they decline, insist one more time, but don't be too pushy after that. Shovel or rake a neighbor's property. Do it just because and do it when they're not home or not outside. Bonus points if you do it for an elderly neighbor. When they ask what the occasion is tell them it's JUST BECAUSE. 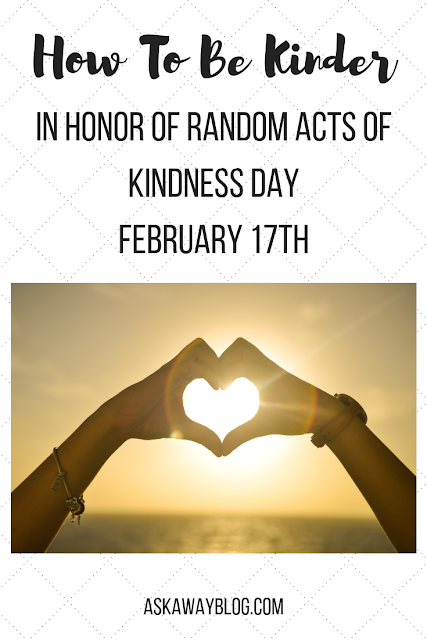 Put a note on it that says it's a random act of kindness and to pass it on. You never know when it will be found or who will find it. Just pick any book in a random aisle at the library and tuck the bill inside. Carry groceries to someone's car for them. This is especially good for the elderly because that can be a huge task for them. Look for someone that has a ton of bags that seems to be struggling with them. Buy flowers for someone you value. Whether it's someone close to you, the administrative assistant at work, or their receptionist at your doctor's office, a bouquet of flowers to brighten their day works wonders. Send a pizza to your vet or local police station. You will make their day especially in the stressful environment they're used to. Leave positive notes in random spots. 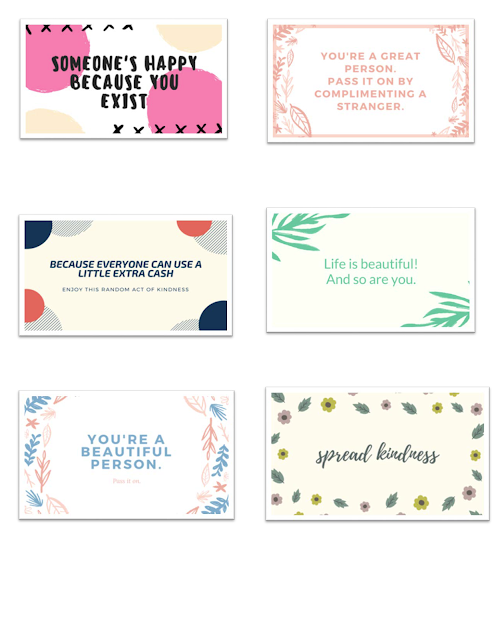 Last year I shared these printable note cards that you can leave in the most random of places like a shelf in the store, a library book, the mirror of the bathroom at work, etc. Get them here for free. 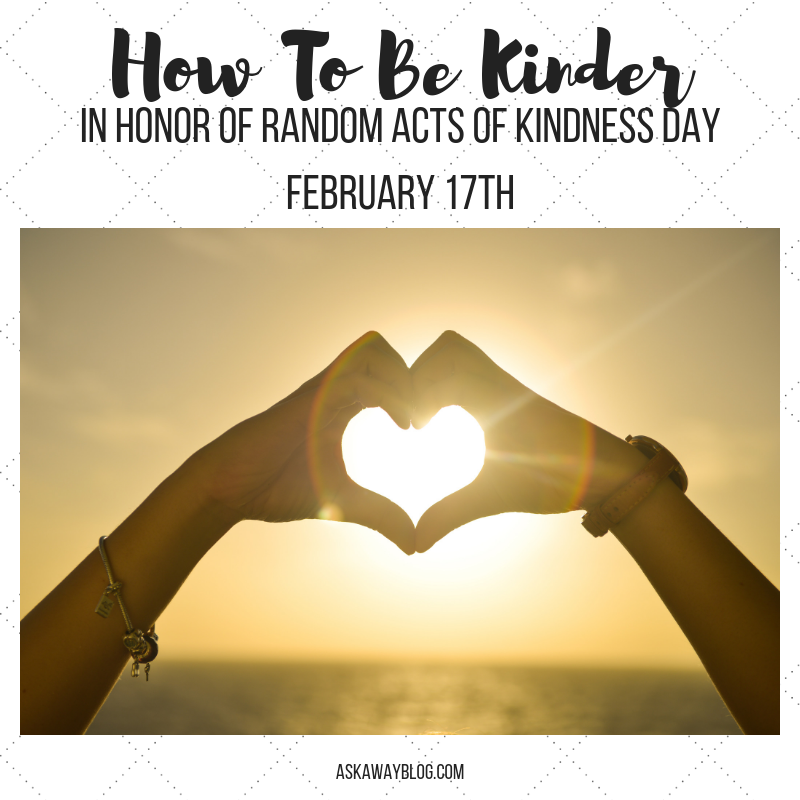 Which of these are you going to do to spread the kindness bug? These are great ideas, Ellen - do you remember that movie "Pay It Forward" - I seriously love that movie, and this reminds me of it!! I had no idea about this day. Thanks for sharing it.